Meet The Author: I visit a school for a one-day program which includes a poetry reading, and *three creative writing workshops. 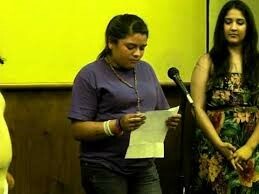 The Poetry Reading: I read both rhyme and free verse poems, and then launch into some humorous tales, some narrative based, some storytelling, and some call and response. This leads to more stories, and more poems. To close, I open the floor for students to engage me in a question and answer period. The poetry reading and Q&A lasts forty-five minutes to an hour. I see as many students as will fit in a school auditorium, gym, or library. 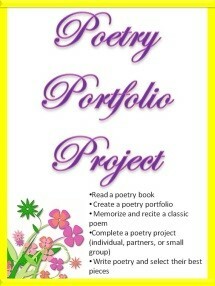 The Creative Writing Workshops: We write lyric and narrative poems. Themes include family, loved ones, friends, and things in the world, good times, food, music, Mother Nature, real and imaginative experiences. We explore the use of the senses, figurative language, rhythm, imagery, sound, tone, emotion, and style. We work from prompts to write a first draft, and read aloud to share those drafts during the session. We give feedback on whether the writer's intention is successfully rendered, as well as discuss artistic choices as a way to further the prose or poem’s development. The Poetry/Prose Residency: I visit a school from two to five days (or longer). 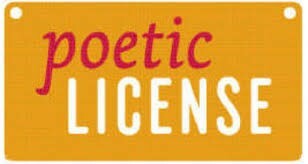 We explore lyric and narrative poems and prose as they relate to students and their interactions with others. The workshop writing activities align with grade specific Common Core standards. 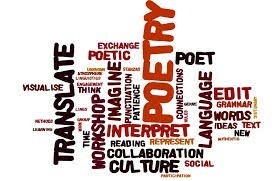 In the sessions, students receive a poetry packet, hear poems, take notes, write original poems, read them aloud, and receive constructive feedback. This naturally engages them in a great deal of writing, verbal interaction, higher-level thinking, and critical analysis. 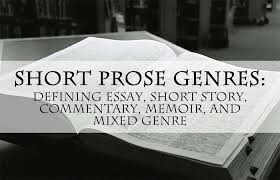 Students have access to prose excerpts and sample poems in many varieties, from classics to contemporary gems by well-known writers, including my own work. 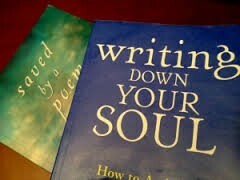 We pay close attention to the powerful things that make a poetry and prose come alive. *My goal is to work with a responsive, committed group of students who take writing seriously, and support and celebrate each other’s work. Topic Approach: Workshops have the same structure and build around a topic. Poet/Writer's Chair: The added dimension of reading a poem or prose in front of peers gives students a sense of community and connection. Technical Requirements: Classroom, board, markers, copies, and microphone. School Wide Event: Selected students are prepared to read and perform their work in an assembly to showcase what they accomplished in the workshops. 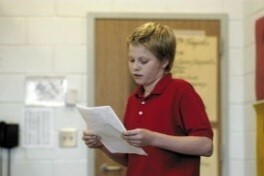 Phillip Shabazz has been our 5th grade Poet in Residence for many years. He is always invited to return because the students and staff love his contagious exuberance and love for language! He does a fabulous job sharing his heart-felt love of poetry with all students, from those who share his passion to those who struggle with language. His classroom demeanor allows students to drop their guard, freeing them to think creatively. He collaborates well with teachers, eager to help with our standards in English Language Arts. Students and teachers walk away from his workshop with an understanding of figurative language, prose, and memoirs culminating in a classroom anthology of original poetry and writing. 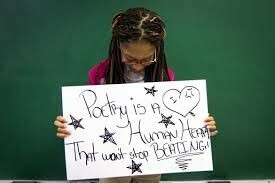 By the week’s end, the grade level celebrates with a Poetry competition as students proudly share their works of art! I have had the privilege of working with and learning from Phillip Shabazz for 5 years now. As an elementary school teacher, I strive to instill creativity and a passion for writing in my students. No one has been more inspirational to me and my students than Mr. Shabazz. He has a knack for helping students unleash the writer that is already within themselves. Teaching, in my opinion, is all about building relationships. Within five minutes after meeting a new group of children each year, he is able to connect with them. This connection unlocks potential and empowers them to be the best writer they can be. This empowerment extends to educators as well. I am not only a better teacher of writing because of Phillip's guidance and support, but I have been inspired in my own writing. ​Mr. Shabazz had been our 7th grade Poet in Residence for many years, and I have been lucky enough to work with him for three of those years. He spends a week with students, and in that short amount of time he is able to inspire, ignite, and encourage students’ work and love of poetry, language, and writing. His presence and connection with students eliminates their fear and trepidation towards writing, and releases their creative writing potential. The students are engaged from beginning to end while producing quality work. Mr. Shabazz not only shares his passion for writing with students, he also teaches them the importance and impact writing can have on the world. The one week workshop he facilitates leaves behind an inspiration for students and educators that will not be forgotten.